What’s going on with health insurance access for Bushwick residents? 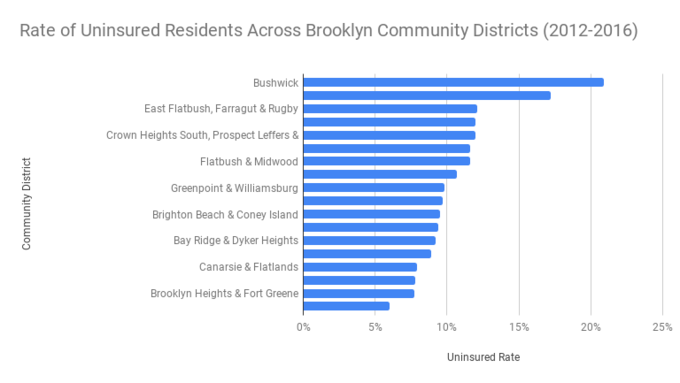 The neighborhood has the highest rate of uninsured people of any community district in Brooklyn. As of 2016, a whopping 21 percent — more than one fifth of Bushwick residents — were uninsured, according to data collected by the Census Bureau. That number is particularly staggering when you compare Bushwick to community districts nearby: The uninsured rate in Greenpoint, Williamsburg and Bed-Study is only 10 percent. Even when you look beyond Brooklyn, Bushwick has the third highest rate of uninsured residents of any community district citywide. The lack of health insurance in the neighborhood could be due to the lower levels of employment. The unemployment rate in Bushwick is 13 percent, compared with only 9 percent in Brooklyn overall. Of those who are unemployed, about 38 percent don’t currently have health insurance. But, even for Bushwick residents who are employed, 30 percent lack insurance, suggesting that many Bushwick residents have jobs that do not offer medical coverage. 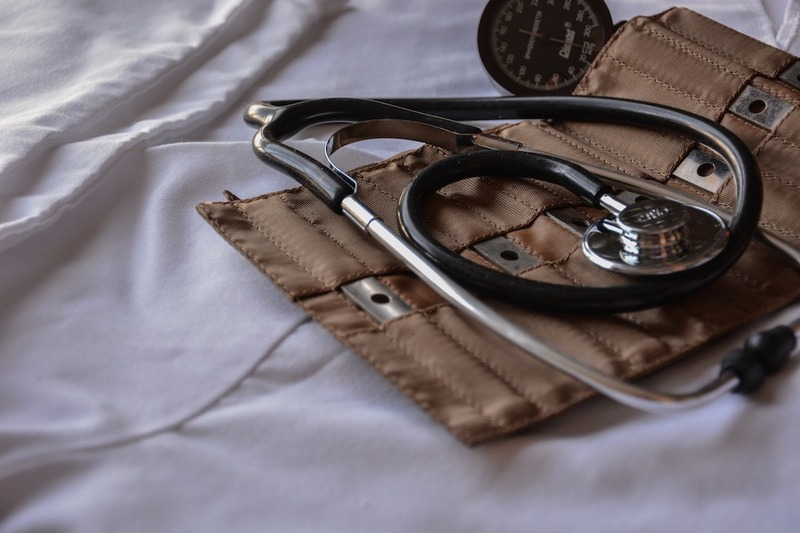 This trend is particularly concerning because residents have no shortage of health issues. Only 68 percent of Bushwick residents report having good health, compared with 78 percent for New York City overall. In 2012, the most recent year for which the data is available, the neighborhood had the highest rate of hospitalizations due to strokes in the entire city. Out of 59 community districts, Bushwick ranked ninth for most child asthma hospitalizations, fourth for most adult asthma hospitalizations, and ninth for most diabetes hospitalizations.